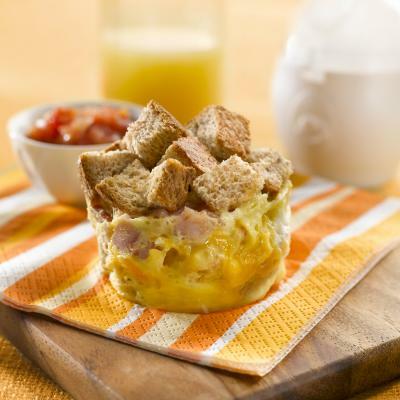 Caesar egg strata is like a mini breakfast casserole. Cook an individual portion in the microwave and it’s ready in just a few minutes. A quick and easy breakfast. Spray small microwave-safe bowl or mug with cooking spray. Add eggs, milk and dressing; whisk together. 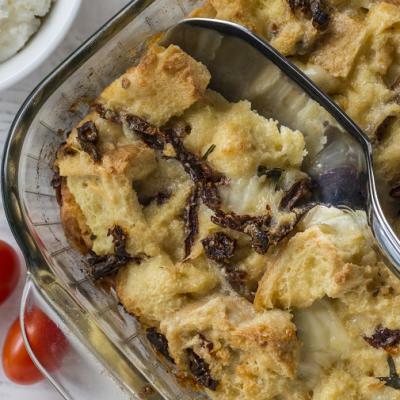 Stir in bread cubes and bacon bits. Microwave on Medium-High (70% power) stirring several times, until soft curds form, 1 to 2 minutes.